Today was a day already at full speed! The practice sessions were fuller as more athletes arrived. Check out the interviews with Manuel Busto (http://www.nelo.eu/tv/musicvideo.php?vid=65a1ac66a) and Carlos Cruz (http://www.nelo.eu/tv/musicvideo.php?vid=b5aef33f1). 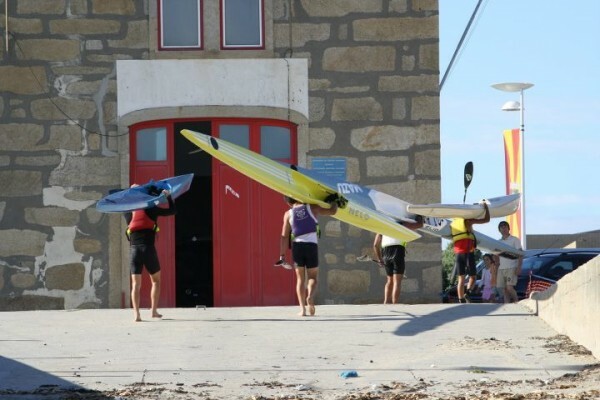 All the photos are available at our site http://summer2011.nelo.eu/index.php/new/multimedia/?tab=2 and our Flickr account http://www.flickr.com/photos/nelokayaks/collections/72157627511915836/. For tomorrow more practice sessions expected, combined with some cultural exercise with a guided tour to Vila do Conde’s sea heritage. The weather will be a bit cloudy and not so good for downwind. Stay in touch as we’ll have a video compilation of this first days.